Frederick William Seepe, Jr., of Chattanooga, TN, joined his Lord and Savior on February 12, 2019. Born in Bessemer, AL, on May 20, 1927, Fred moved to Chattanooga as a young child. He graduated from Chattanooga High School class of 1945. He served in the U.S. Navy during World War II. He attended the University of Chattanooga after his discharge from the Navy. He married the love of his life on August 27, 1947. He retired from DuPont after 40 years of service. He is a past President of the Chattanooga Purchasing Management Association, and past President of the Chattanooga Chapter of Credit Unions. After retiring from DuPont, he was office manager of the Law Offices of Burnette, Dobson and Hardeman for several years. He enjoyed serving as a volunteer at the Tennessee Aquarium, and at the Changed Life Ministries of former pastor Ben Haden. He was a member of and served as an Elder at First Presbyterian Church. 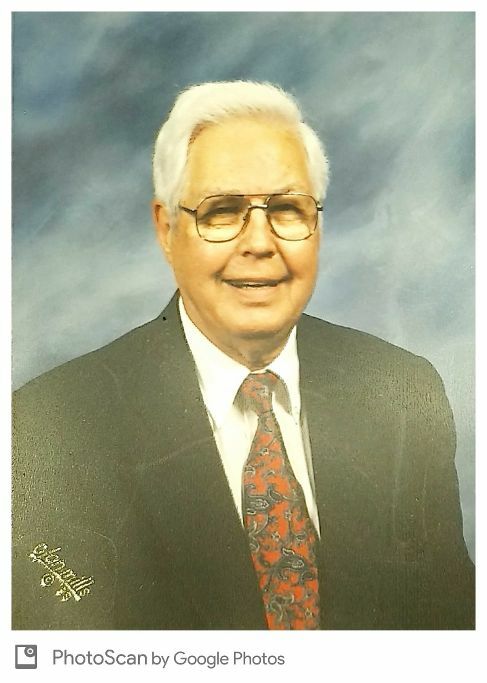 He also served as past Treasurer and past President of the Lee Anderson Sunday School Class. He was preceded in death by his parents, Mr. and Mrs. Fredrick (Myrtis) Seepe, Sr, a brother, Mr. Robert Seepe and a sister, Mrs. Charles (Frances) Coolidge. He is survived by his beloved wife of 71 years, Bettye Seepe; sons Mike (Ann) Seepe of Shelbyville, TN, Gary (Becky) Seepe of Farragut, TN; daughter Betsy Seepe (Lee Murphy) of Mount Juliet, TN; five grandchildren, Bethany (Kelley) Mobley of North Augusta, SC, Michael Seepe (Charlotte Peacock) of Beaufort, SC, Evan (Lindsey) Seepe of Augusta, GA, Katie Seepe of Knoxville, TN and Amaris Seepe of Knoxville, TN; three great granddaughters and a great grandson; sister-in law Mildred (Robert) Seepe and brother-in-law (Charles Coolidge); as well as several cousins, nieces, nephews and great nieces and nephews. A graveside service will be held at 2:30 PM on Friday, February 22 at Chattanooga National Cemetery. In lieu of flowers contributions can be made to Samaritan’s Purse at www.samaritanspurse.org. The family will receive friends from 12-2 PM on Friday, February 22 at Heritage Funeral Home, 7454 E. Brainerd Rd.